While NJ can’t fix pot holes and suffers severe traffic congestion and unhealthy air quality, let’s take a look at just two innovative transportation programs being implemented by our west coast friends in California. No wonder private sector investment and talented young people are locating there, instead of NJ. NJ used to be the east coast version of California, in terms of leadership in education, environmental and technological policy and investments (instead of political stunts like this). The 2014-15 State Budget provides $832 million to the Greenhouse Gas Reduction Fund from Cap-and-Trade auction proceeds to support existing and pilot programs that will reduce GHG emissions and benefit disadvantaged communities. This expenditure plan will reduce emissions through several programs, including ones modernizing the state’s rail system (including both high-speed rail and public transit), encouraging sustainable community development with an emphasis on public transportation and affordable housing, restoring forests in both urban and rural settings, increasing energy, water, and agricultural efficiency and creating incentives for additional recycling. Gov. Christie is a climate change policy denier. He diverted over $1 billion from NJ’s Clean Energy Fund to pay for corporate tax breaks. He ideologically opposes any new revenues and has made no real investments in infrastructure other than spending federal Sandy recovery funds like a drunken sailor. He killed off shore wind, undermined expansion of solar, and blocked energy efficiency. And he tried to kill NJ’s zero emission vehicle program. He did kill the most critical NJ transit investment, the ARC rail tunnel to Manhattan, based on lies. 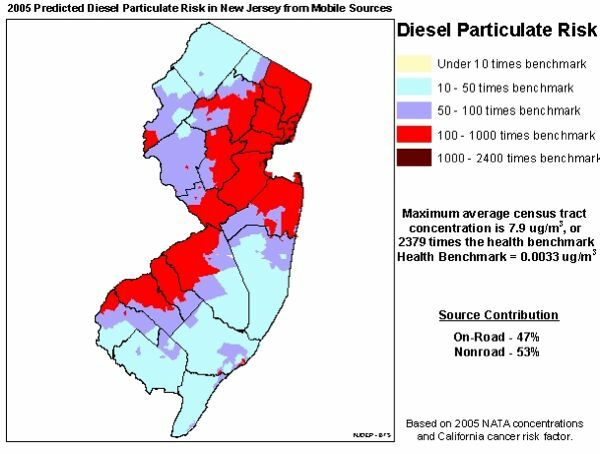 He opposes government planning of any kind, including transportation, air quality, climate change, Sandy recovery, or land use planning, killing NJ’s State Plan. Christie has no professionals in his Cabinet with policy expertise, and thus has no ability to manage state government, no less design and implement innovative programs. His “environmental justice’ and urban policy is one of total neglect, excerpt for the privatization of public schools. But that sole “urban” policy is driven by ideology and a cynical political motive to attack public employee unions, reward his Wall Street cronies with public educational funds, dismantle progressive public education, and provide anchors for private real estate investment to gentrify urban centers. 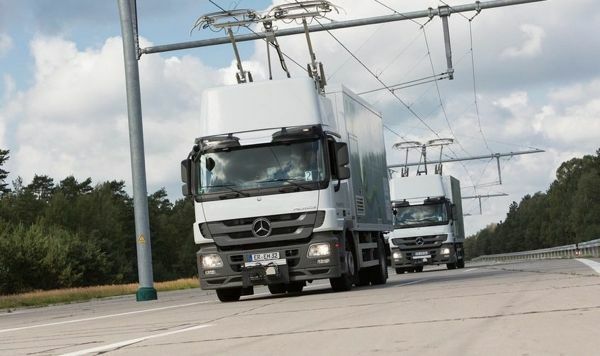 Siemens was selected by California’s South Coast Air Quality Management District (SCAQMD) to install the system because around 35,000 trucks grind through Carson every day to the ports of Los Angeles and Long Beach, the two busiest ports in the US. Traffic is expected to increase almost threefold by 2035, so authorities are looking for zero-emission solutions. “Southern California’s air pollution is so severe that it needs, among other strategies, zero- and near-zero emission goods movement technologies to achieve clean air standards,” said Barry Wallerstein, SCAQMD’s executive officer. But, instead of investing in real solutions to those problems and providing a minimum of justice and health protections for the people who live in the Newark area, Gov. Christie has pledged to provide “regulatory relief” to the business community and rollback and dismantle enforcement of DEP regulations. Most NJ drivers know that when the posted speed limit is 65 mph, that the police will not issue tickets for going 5 mph or less over that limit. But, what if the State Police issued a policy that said drivers will not be issued tickets unless they exceed 80 mph? Well, that’s exactly what DEP has done for enforcing air pollution standards against polluters that emit hazardous air pollutants.